Additional information about how each race works is included within the sections below. Responses are included exactly as they were received; no editing was done. Candidates are listed in alphabetical order by last name. All Alachua County School Board seats are non-partisan and county-wide. This means that all voters will select one candidate from each of the districts (1, 3 and 5), regardless of the district in which you live. The School Board election takes place during the primary elections on August 28. A candidate needs 51% of the votes at that time in order to be elected. If a candidate does not receive the votes needed, a run-off will take place during the general election on November 6. YES. I support local tax initiatives that will improve schools. Moreover, I believe that resources should be allocated equitably across the County. I do support the half cent sales tax increase initiative on the ballot this election cycle. However, before we use any of that money and before we reauthorize it in a few years, I feel that we need to analyze our budget to determine wasteful and redundant operations. I also would like to see the board address the $26.6 million difference between estimated revenues obtained from millage rates in the county versus reported income, which could give us a sizeable amount to work with. If it turns out that this large sum is simply being allocated elsewhere and is not being reported, I believe that we could still use the sales tax money to improve all of our school facilities. Zoning is a complex and necessary process for School Districts. A way to avoid rezoning schools is to build new facilities in the growth areas. We need a straight forward community dialogue process that is meant to inform, engage, and solicit ideas regarding capacity inefficiencies and build goodwill. Community “input” will not do. We need heart to heart conversations about new exciting ideas and difficulties such as school resegregation. The positive here is that our problems are not new! Many other communities across the country are overcoming their challenges related to school capacities, inequities, and finance in innovative ways. I look forward to bringing these ideas into a country-wide participatory process with the aim of building a successful and equitable plan together. A new elementary school is being considered. There is a SPAC committee formed from representatives from each municipality in Alachua County to recommend where to build this school. Rezoning to fill the new elementary school should be done in order to relieve the overcrowding of some of our schools in the Western part of the county. I believe we should consider consolidating our under enrolled schools but we need to include the parents, teachers, students and community in any and all discussions about doing this. It has to be a community wide discussion. Any rezoning efforts need to take into consideration community input as well as the cost of transportation. Currently we have some facilities not at 100 % capacity. Until all student stations are occupied the SBAC is not being fiscally responsible with square footage. The board should continue to use program to draw students to under occupied schools. The SBAC can reduce cost and health conditions by not renewing portables leases but purchase permanent facilities. Old portables are mold infested causing sinus and breathing problems. Building permanent modular construction is eco-friendly, increases the permanent square footage and eliminates lease debt. Finding solutions will not be easy and requires participation by a wide variety of parents, community leaders, business leaders and District employees. To attain more balance one of the initial steps is to pass the ½ cent sales tax referendum to allow each and every school to have modern facilities and the best in technology. In areas that are under-enrolled the concept of a K-8 school is worth considering. For a new school I would expect that the student population will represent the demographics of Alachua County. If students already are assigned to be transported to an over-crowded school an additional 10 minutes on a bus may be a way to achieve balance. When I was part of developing the Fine Arts Magnet at Duval we eschewed the concept of “school within a school”. Magnets concepts (i.e. foreign languages) should be implemented for the entire student population. We currently fund our few under-enrolled schools at a higher per student cost than the schools at or beyond capacity. Better balance is in itself a financial savings. The District currently has community/business partnerships valued at $3.3 million. Increased spending to create more balanced student populations will require budget priorities with existing funds. One of the most important things regarding rezoning is increasing enrollment in Eastern Alachua County schools and decreasing enrollment at overenrolled schools on the West. Also important to consider would be implementing rezoning plans over a few years time to allow for students who have developed friend groups to adapt to changes in those friend groups, but also make the breaking up of friendships much less likely. This consideration is typically not taken into account when rezoning, as often it is not of a priority. But for me, if elected, it would be. YES. I support the Children’s Trust tax as a funding source to meet the needs of children in our county. I have been a part of the Children’s Movement since being elected. I see a need for programs and supports for our children beginning at birth. This initiative will support children across the district and across socioeconomic status and race. I believe it deserve a place on the ballot to let the citizens decide. A referendum gives citizens a vote on an important question. According to Commission Chairman the Children Trust would act the same as the already established Children’s Services Advisory Board but it would be an independent entity. My strategic thoughts: based on my budget and based on the school board’s present and impending budget. Pay for the present and future safety of our children (?) The Board does not know if the Safe School funds will be available next year. The board used all the funds this year and also took money out of the General Funds which pays for teachers’ salaries and students’ resources. Citizens must go out and VOTE, it is too important a decision to trust someone else vote, to decide what you value and what you will have to pay. Yes. I am a strong proponent of the Children’s Trust ballot initiative. While serving as Board Chair and worked with then BOCC Chair Cornell to develop and promote the idea of 2018 being The Year of the Child. Much of the enthusiasm for the initiative is in the area of early childhood education, NOT daycare. Children who are ready to enter a kindergarten classroom have an exponentially higher opportunity for academic and social success. The initiative addresses the needs of children from birth to age 18. ACPS will have a unique opportunity to partner with county government and municipalities to structure meaningful and productive after school programs. I do support the Children’s Trust initiative because it would expand the ability of the board to gain advise on early learning and after school programs, especially when deciding the amount of funding each of these programs. I also feel that allowing the public an opportunity to contribute to innovative solutions to limited early childhood education programs instead of placing the responsibility solely within a School Board echo chamber. The current school grading system with all of its difficulties and challenges is the system we have until the Florida legislature votes and changes it. I am not a fan of high stakes testing but I do believe that assessments are needed to evaluate the learning needs and proficiencies of students. My favorite kinds of assessments are portfolio and student led assessments! If a student is not progressing, an assessment should identify their weaknesses so that we can help them. I do not believe that the school grading system is an accurate measurement of school quality and have advocated this since being elected. I believe that people with questions should actually go and visit a school before determining whether that school is “good” or not. Each year the bar is moved, blurred, and bargained by our state Board of Education and Legislature. Our teachers, students, and administrators work very hard to see that all students are successful. A single day’s test results and a single evaluation of teaching and learning is not a good indicator of what actually goes on in our schools. Yes and no, because it is a standardized test so there is validity to the results. No, because standardized test only tests high analytical thinking like math and language. But high practical and creative thinking is not measure which is how most student from diverse background learn and excel. Resources must be available to ­address the inequities. All stakeholders must take responsibility to help student make academic gains. No. Each year the measurements and goals change. The State (Legislature, BOE, DOE) appears to dislike dishing out too many A’s. The grading system is punitive rather than prescriptive. However this is the system in place so it is imperative that we get the highest grades possible for each school. One of the worst ways to try to raise grades is to teach to the test. Schools should be places of joy and discovery which includes a full, well-rounded curriculum. If we make that happen grades will rise. I had an opportunity to teach for a day at Terwilliger Elementary through Junior Achievement in my Senior Year. During this time, I saw what wonderful staff and students were there on campus, and it saddens me to see them have to go through this high-stakes testing and advancement analysis. I do not feel that school grades are an accurate reflection of school quality, and I would like to see the school board working with our state legislature representatives in order to change the way that schools are graded. Instead, we have soured the relationship we did have with the state, making negotiation and compromise virtually impossible under current leadership. I feel that having a new leader present would give the local board an opportunity to advance the needs of local schools at the state level. I understand the frustration. The current FSA test is the assessment we have until the Florida legislature votes and changes it. There are individual options for parents who do not want to participate in testing. Lobbying the local legislative delegation and statewide for change is an option. I will be transparent with all stakeholder and give the reasoning for the test. FSA and EOC are the only state mandated test. Some students struggle taking the EOC on the computers and so the question is do they know the content or are they underperforming because of the medium used? Many variables can affect test results. Evaluating a student’s acceptance into a program must consider factor other than test scores. Career Tech Education programs usually emphasize creativity and practical skills not evaluated on tests. Do not give the AIMS test. The scope and sequence should allow time for students to enjoy the content. Give teachers flexibility to cover the scope and sequence without the pressure of AIMS testing. I have three children currently attending our public schools. I have been through the testing cycles for gifted, middle and high school magnets as well as all the yearly state and county required testing. I have the same frustrations. I am at home with students who are worried about their performance and how it will affect their teachers and schools. Some of these tests cannot be controlled at a county level. Some can and I would certainly support a reduction of testing wherever possible! I am in favor of the elimination of any high-stakes test not required by the State. The District is given some flexibility but still have to meet evaluative standards. Some testing is in place to meet State-mandated requirements for teacher assessment. The District should do the bare minimum of testing required by DOE. Three years ago there was some movement on this issue in Tallahassee when parents demanded change. Parents must reignite those efforts. I stand with them. The majority of testing that students face in Alachua County is mandated by the state, such as the FSA amongst others. But tests such as the AIMS tests are county mandated, and occur more frequently than State testing. One of my first goals, if elected, will be to move toward eliminating these AIMS tests, which I did have to take throughout my years at Buchholz high school, and begin working with the state to lower testing frequency. I have read a list of “programs” the district says it’s doing but their effectiveness is suspect. An organization I am a member of suggested the district create Equity as a priority and focal point. I am proud we brought that to Gainesville. Our vision is that equity would become a School Board priority, not a talking point. Closing the achievement gap is not the job of one person, the scope has to be top to bottom, District wide – a priority of everyone. Many programs have been instituted to address closing the achievement gaps in all areas. 3rd grade English Language Arts class sizes were reduced in our highest needs schools. We began a pilot of universal screening for gifted in second grade and will continue roll this out. Identifying and recruiting potential Advanced Placements students is beginning in middle school to promote diversity in these classes. We have also begun a partnership with the College Board to work with schools on increased participation as well as diversity in AP classes. The AVID program (Advancement Via Individual Determination at Westwood, Mebane, Gainesville High and Santa Fe High next year), Algebra Nation, AP Capstone program at Eastside High, and Graduation Coaches at Gainesville, Buchholz and Eastside High Schools have been added to support our students.We instituted the Office of Educational and Equity Outreach at the beginning of the last school year and named Valerie Freeman as the Director A comprehensive Equity Plan will be rolled out this coming school year under the Office of Educational Equity and Outreach.These are just some of the programs implemented under the direction of Superintendent Clarke and the current board. According to the district’s strategic plan costly reading programs have been purchased but have not produced academic gains. Part of the strategic goals are: decreasing out of school suspensions by10%. Increasing African American enrollment in CTE programs. Screening African Americans for gifted. Presently, I do not have data to support these goals were met. The key to learning, is excellent teachers. Investing in outstanding teachers that have high expectations of their students and love their students, will produce academic gains. Address inequities by providing professional development in cultural awareness. Replicate the Community Partnership School eg. Howard Bishop Middle School. Engaging local business, churches and community members will change the social and educational school climate. The board’s continued partnership with Catholic charities, our local chapter of United Way, University of Florida and Santa Fe College. Administrators can encourage project-based assignments and partner east and westside schools. Teacher can use technology to collaborate. The reading program Each One Teach One encourages parent volunteers. The District has taken the very real achievement gap seriously. No stone will be left unturned in seeking remedies and seeking them quickly. We must continue and accelerate efforts to raise achievement for our lower-quartile students throughout the county and to provide more help to the schools most in need. The final fifteen years of my career were spent at a high-needs school. During that time I worked with wonderful children and families and with some of the best teachers available. In 2009 I was named Alachua County’s Teacher of the Year. I know the both the challenge and the promise of doing the most we can for ALL students. We have raised graduation rates, initiated an Office of Equity and Outreach, partnered with the Children’s Home Society and provided wrap-around services for a growing number of families. The community and the Board must insist on high standards. If everyone’s focus is on what is best for children, regardless of differences over approach we will succeed. No, our task is far from completed and the work continues. The achievement gap is primarily based in testing differences, and students from a low income household are less likely to perform well on standardized tests than students from middle or high income households. I feel that encouraging and directing tutor groups as well as giving teachers more liberty to teach to students rather than teach to tests will be a step in the right direction toward closing the achievement gap. A school safety officer position has been created and a professional hired. He is a trained professional and will put forth a plan for the District overall and each school. ALICE training is going to be done at every school and center in the district. Staff has been trained and now we will begin doing age appropriate trainings with our students. We have implemented the School Climate Transformation Project, the Sanford Harmony program, restorative justice and other programs designed to improve school culture and reduce disciplinary issues. 15 school staff members (in addition to the 16 trained in 2017-2018) have been trained to serve as Registered Behavior Technicians. We are continuing staff training in crisis intervention, trauma sensitivity and other issues. All of these programs will help students learn to deal with their stress and improve the climate of our schools. We will also have a School Resource Officer in every school and have hired a School Security Chief to coordinate safety assessments and trainings at all of our schools. The safety of our students is a top priority and we will work diligently to find funding and resources to make our schools as secure as possible. Senate Bill 7026 (Chapter 2018-3, Laws of Florida) comprehensively addresses school safety, in part, through a Mental Health Assistance Allocation and district implementation plans. Funds for this allocation are to be allocated each year in the General Appropriations Act (GAA) or other law, with each school district receiving a minimum of $100,000 and the remaining balance to be distributed to school districts proportionately based on their total unweighted fulltime equivalent student enrollment. Before receiving funds, school districts are required to annually develop and submit a plan outlining the local program and planned expenditures to their district school boards for approval. Plans approved by district school boards are due to the Commissioner of Education by August 1 of each fiscal year. The district must include the plans approved by the governing body of each charter school in the district with its submission. ACPS project 2018 2019 allocation is $748,625 (School board meeting addendum July 17, 2018) . Note: Since this meeting all funds were used for the school safety officers’ contracts and no funds are available for the other part of the mandate which include school hardening and mental health counselors. The Board has hired a Director of Safety and Security to lead these efforts. We have contracts in place to cover each school with a sworn, highly-qualified law officer. Some steps that we have already taken are not public because of security. We must be at full speed for a safety analysis at every campus. A portion of the ½ cent sales tax will address “hardening” of facilities. An anonymous tip system could be instituted. In addition to campuses a thorough analysis of safety issues on school busses must be part of the mix. One program I would not recommend is authorizing the arming of teachers and administrators on school campuses. Rather, I would support and push for increased mental health programs on campuses, a hardening of our schools against outside threats, and increasing our response capabilities with trauma kits in every school so that, in the event that the inthinkable occurs, we are ready and able to respond to it more effectively. The System of Care is touted as being effective, but only serves a few schools. If this program is effective, finding funding to expand it would make sense. Some of the programs I listed in question 7 will address children’s mental health. I would like to see the Community School concept that we have implemented at Howard Bishop Middle spread across the district. This program brings the services that students, families and staff need to be successful directly to the school and community. Mental Health professionals, dental, vision, health, etc. are all located within easy access to the students and community. I would like to see mental health counselors embedded in each school. I would also like to see more professional development for our teachers and staff on mental health issues, how to recognize students at risk and where to get the help they need. I believe our Guidance Department does a good job but they are spread thin and required to do more than guidance. We have added clerical positions at the elementary schools to help “free up” our guidance counselors to work with students. Senate Bill 7026 addresses this and Florida Statute 381.0056 requires each local Department of Health to jointly develop a School Health Services Plan that outlines the provisions and responsibilities to provide mandated health services in all public schools. The local school health services plan shall describe employing or contracting for all health-related staff and the supervision of all school health services personnel, regardless of the funding source. (School board meeting addendum July 17, 2018). Since we used all the funding for school safety officer the guidance counselor will probably have a higher work load or the local system of care will provide the services. This also applies to Question 7. We are working toward training 100% of teachers and administrators on mental health issues. It is everyone’s job to look after and look for the most vulnerable. We are hiring clerical aides to free Certified Guidance Counselors to be free to work with children at all times rather than be burdened with administering tests. There can be no stigma associated with mental health. Every child must receive the care and support they need. One program I would like to see implemented would be the increasing of counselor presence on campus without tying a great deal of paperwork to them. These counselors are not secretaries nor assistants, and their job is to help students when faced with situations they may not know how to solve on their own. I would also like to see a decrease in stress for students through reducing testing. Increasing community involvement could be pursued by having meetings, outreach activities in the neighborhood/community in a neutral location like a city building/community center, church or park. Having meetings and events at different times/days to accommodate people that work during the school day, after 6pm weekdays and providing food, meeting on Saturday, or home visits by a liaison as has been done in the past. The Alachua County Council of PTA’s is a wonderful partner. I had been asking how to get it back since being elected. The missing part had been parents willing to do the hard work to bring it back. Having the school board chair serve on the executive board of ACCPTA, has added to our partnership. ACCPTA is a strong advocate for our schools and the community will listen and get involved because parents are asking, not the district and not school board members. I have asked that this year for Open Houses we have a flier “Welcome to the School Year” and have the school board members’ pictures and contact info listed as well as the Superintendent and her Administration. I am hoping that this can help the parents put a name and face together and be a resource to help communication. I also believe that board members should visit schools and attend programs and after school activities. I have made it a priority and goal to visit every school each year. I encourage parents and community members to be an active part of making a difference in the lives of students and the schools they attend. These organizations must follow the Family Educational Rights and Privacy Act Guidance on Sharing Information with Community-Based Organization. First show by example. Every Board Member should be also be a member of PTA. I served on the ACCPTA Executive Committee for one year and continue to give full support. As a former band director I realize the immense value of having parents involved in their child’s education. I will talk to civic organizations, business groups and community members about what can be accomplished by pulling together in the same direction. The school board can work with school PTAs and other school-oriented organizations through attending their meetings and actively engaging with members. Something another candidate likes to tout is visiting every school once every year, and I feel that we need to have more involvement from our board members in SAC meetings as well as PTA meetings. All County Commission seats are county-wide. This means that all voters will select one candidate from each of the districts, regardless of the district in which you live. District 2 is the only district that has candidates running for the 2018 election. The County Commission election takes place during the primary elections on August 28. A candidate needs 51% of the votes at that time in order to be elected. If a candidate does not receive the votes needed, a run-off will take place during the general election on November 6. Alachua County’s mission is to provide responsive service to citizens and responsible stewardship of county resources for current and future generations”. While this mission statement doesn’t specifically address education, there are many ways in which county government can be supportive of the School Board’s mission generally, and of the current issues affecting the Terwilliger and Hawthorne and communities specifically. Improving the lives of our citizens through economic development is important to the improvement of a community’s educational level. Families who have jobs, a roof over their heads, food on the table, and transportation are stable and their children are ready to learn. Additionally, the County Commission already supports programs, such as SWAG, that help families. Early childhood is the most important time in brain development, and the more we can get families to take advantage of programs already available to them, the better. I see it as critical for the county commission to be a strong advocate for cooperation among all local partners to support our public schools. The county commission has a strong interest in the success of public schools in every part of the county–but especially those schools undergoing special scrutiny. In turn, our schools struggle with the same issues that affect nearby families and neighborhoods. The county commission can establish the expectation–through adoption of budgets and setting of policy–that all county agencies support public school programs and facilities. Specific opportunities exist for shared funding of school grounds and parks, and co-location of services that help both schools and the surrounding communities. The county commission can also lead by example, and support staff volunteering and mentoring in our schools–especially schools undergoing extra scrutiny or challenges. County government needs to continually link development and school capacity to ensure that our county is adequately served with schools. The school grading system is affecting school numbers, as we have seen recently with the number of students leaving Terwilliger. When all schools are effective, we can then keep all schools at or below capacity, instead of having some very under-enrolled schools and some very over-enrolled schools. Having effective schools all over the county will also save us from having to close schools that are very important to our communities. The County Comprehensive Plan, the land development code, and school concurrency provide specific voices for the county commission in placement and capacity. However, the school board is a ultimately responsible for both capital and operating budgets. The best way the county commission can help is by identifying shared use and funding of buildings and grounds. Every family and neighborhood depend on quality public schools for their well-being. Closures of schools (such as in Waldo) hit hardest areas those areas that are already struggling with multiple issues. Here again, the county commission should be a strong advocate for cooperation so that schools are not alone in addressing community decline. I believe the best role for the County Commission is to support the School Board in 1) creating high quality and innovative programs in every low enrollment school; and 2) providing improved access to high quality programs for children who are struggling–including mentoring, afterschool, and summer. County staff and the County Commission should help the schools seek Federal, state, local, or private grants for innovative programs. I strongly support both the school facilities sales tax and children’s trust, precisely because they provide resources for this. The teacher shortage should be of great concern to everyone. As a former educator myself, I am concerned about the direction K-12 education has taken. Teachers are leaving the profession because the legislature has interfered in areas that should be left to school boards, schools, and individual teachers. Again, economic development leads to improved quality of life, which is important in attracting and retaining teachers. I believe we attract excellent teachers; our greater challenge is retaining them. I would advocate community partnerships to provide curriculum and fieldtrip support to teachers and classrooms. Over the last two years, Friends of Little Orange Creek Nature Park obtained private funding to provide 800 4th graders from public schools in eastern Alachua County a free field trip to the park. I worked with the teachers and principal at Williams Elementary to have them included—and saw the incredible boost of enthusiasm this gave to teachers & students alike. I would also look for ways to show teachers we are all in this together. Alachua County and the City of Gainesville both operate internal training and education programs for staff—all premised on the value of lifelong learning. Perhaps we could find ways to open these programs to teachers. Teachers dedicated to impacting children–and especially issues of social equity and racial justice. I am a proponent of both the sales tax for improved facilities and the children’s trust. Support from parents and community, as expressed by passage of one or both would be a strong vote of confidence and a morale boost for our teachers. I believe the PTA has a very important role in encouraging families to become more involved in their children’s education. Getting families involved in school activities can only lead to higher achieving students. My wife Ondine and I are big believers in PTA, and have been active PTA members throughout our children’s education. 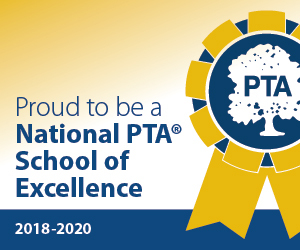 Anything the county-wide PTA can do to share best practices among schools’ PTAs would be helpful. Our community also has an innovative culture of storytelling, podcasts, and fun activities, and I would welcome ideas from PTA of how we can better tap into that for the benefit of our kids and our schools. I know that it is not the best use of taxpayer dollars. Taxpayer funds should be restored to our public schools. I generally disagree with using taxpayer money to send children to private, for-profit schools, though there is a place for certain charter schools. I have always thought that if we do fully fund our public schools, we wouldn’t have the need for charters. We should allow schools and teachers to experiment, like many charters do, with different research-based teaching and learning methods. Some of the research that I do at my day job is related to the science of teaching and learning and how to best present information to students for retention and achievement. Our public schools will be improved if those at the state level gave our schools the encouragement to follow best practices. infrastructure and supplies for student use. I absolutely support an increase in the base allocation of public school per student funding. We must fully fund our schools. When I was a teacher at Howard Bishop Middle Schools I remember entire classrooms were shut off because they had fallen into disrepair and had mold growing on the walls. Unfortunately, not much has changed because the state is funneling money into for-profit charters. As we increase the base allocation, I would oppose efforts to attach strings to it so that it can be only spent in certain ways. Administrators, teachers, and parents know the needs of our schools the best and should be provided the resources to meet those needs. In Alachua County I sit on the School Planning Advisory Committee and I see first hand that the struggles I dealt with have not gone away. Facility problems can plague a whole school, distracting teachers from teaching and students from learning. We must do better. I will fight for additional state funds for this purpose. better and we need to do better. I am all for recess and recreational learning. However, I would not have supported HB 7069 and will actively work to repeal it. Our schools have been struggling to fund repairs as it is and this bill just makes it more difficult while giving a taxpayer funded handout to private, for-profit, out-of-state, so called education companies. We should have legislation that supports our public schools AND provides children with the best learning environment possible. approach from municipal government, school board, and community members. My research and educational background has informed me of testing and what works and doesn’t work. Standardized test scores are flawed at best and invalid at worst. A teacher’s livelihood should not be determined based on how a student performed on one day of the school year. I will fight to end high stakes testing and move toward a holistic approach to evaluating schools, teachers, and students that isn’t dependent on the conditions of a single day or single test. We must take a broad look at the issue of violence in our society. As we have with one shooting after another, gun violence is a problem for our communities and our schools. We need common sense gun safety legislation that would, at a minimum, mandate universal background checks with stronger red flag policies. I do not believe in putting guns in the hands of teachers or any other school personnel other than a sworn law enforcement officer; this would make our schools more dangerous rather than less dangerous. There are other ways to increase security at our schools such as designated points of entry, staffed during hours when students are arriving, keyless locks, and/or closed circuit security cameras. However, I would caution against turning our schools into miniature prisons. We must find a balance. prevent shootings before they can happen. It is the right step that the legislature increased funding for mental health counselors in the MSDHS Public Safety Act. But it should not take a school shooting in Florida for this to happen. We need to take a proactive and preventative approach instead of a reactive approach. The legislature can further increase funding for these supportive counselors. But what is desperately needed is a healthcare system in which a child, regardless of income, is able to have full access to health care needs. Florida currently ranks 51st out of 52 American jurisdictions in per capita mental health spending. another step the legislature needs to take. RAISE TEACHER PAY! This isn’t the only solution, it’d be a great start. One of the main reasons I left teaching was because I couldn’t afford to pay my student loans on a teacher’s salary. And teachers often buy supplies out of their own pockets, work extra jobs, and aren’t guaranteed a position from one year to the next. Providing teachers enough funds to supply their classrooms along with increasing their benefits, including a continuing contract, would make teaching a much more attractive profession. This is not just the best way to increase the teaching workforce, it’s the right thing to do. It’s time our teachers were treated with respect and as the professionals they are. We can begin to address this issue by paying teachers the higher wages they deserve first and foremost. for a guarantee of staying with Florida Public Schools for a requisite number of years. Children inhumanly separated from their families require many more resources than a child with an intact family. Trauma has an impact on a child’s learning and emotional development. The children in these situations need to be provided social workers and counselors who are concerned with their well being instead of ICE guards. of the state to ensure that no one is getting left behind. In my campaign, I have held multiple teacher themed events designed to specifically reach out and discuss the concerns about our schools and public education system. When I have the honor to serve, tI would continue these teacher and school discussions. It’s important to me that we not just advocate for our teachers and schools during election years but every single year, every single month, and every single day. One of my top priorities as a State Senator will be to ensure that teachers, educators, support staff, students, and parents are heard in Tallahassee. As such, it’s important for the PTA to continue its advocacy role and continue fostering communication between those with boots on the ground and policy makers. No responses were received from the following candidates: U.S. Senator: Rocky De La Fuente (republican), Howard Knepper (write-in), Michael Levinson (write-in), Bill Nelson (democrat), Rick Scott (republican), Charles Tolbert (write-in), David Weeks (write-in). U.S. Congress District 3: Judson Sapp (republican), Ted Yoho (republican). Every Student Succeeds Act is the same repackaged, government over reaching ideology since 1965. It expands the federal government authority over the state. I don’t agree with standardized testing for our children. Every child develops and grows, differently. I will first propose legislation of eliminating ESSA and standardized testing, giving parents power and eliminating, lobbyist from education. Florida spends 19 million dollars a year on lobbyist. Those funds would be reinvested into our schools, providing the much needed resources of staff and student needs. President Obama signed ESSA to replace NCLB in 2015. As a Member of the House of Representatives, I will make sure that states and districts should work to ensure that all students, including students from low-income families and students of color, have unbiased access to excellent educators. I am going to Congress to write better laws. There are already vast disparities in educational outcomes strongly correlated with school district economic status. Laws that financially punish ‘failing’ schools are designed to exacerbate this injustice. Tying funding to family engagement is but a subtle variant on this. It is easier to engage the middle class parent with a predictable, or self-determined, schedule than one working 3 jobs with on-call status. My objective, rather than modifying this structure in the law will be by the ‘Pump Up Economics’ of immediate and pervasive $16 min wage conjoined with Single Payer Healthcare, to return working people to the 40 hour single job Middle Class. Then we can consider Federal subsidies to districts that remain economically disadvantaged to normalize educational opportunity. All teachers should be required to have continuing education, 10 hours per year in order to stay abreast of the changing technology. Eliminating teacher mandates would allow principals more power in the school system. Giving power back to the states, gives the power back to parents. Allowing teachers to be creative in the classroom and eliminating standardized testing would allow the expansion of creativity with teachers, parents and students. I have heard that teachers are not getting paid enough. And that creates problem in retention of good teachers. Teachers’ salaries must be increased for retention of good teachers and the government must provide funding for continues professional development. When Pres. Obama visited Shanghai he asked the Mayor how they were able to find teachers for their booming population. His reply highlights the gravity of our educational distress: “We pay them like doctors and lawyers.” I suspect that that response seems absurd to most people in central Florida. Professional development is most consistently achieved in conjunction with professional wages. [The economic miracle of the progressive revolution is that Single Payer for all is $1,000,000,000,000 cheaper per year than what we spend now. When we end, and only when we end, corporate welfare will we re-discover that we are a wealthy people. And the change we must demand is public funding of elections. Currently, laws have been enforced, allowing homeless children to continue attending the school system they have been registered in. This can possibly be a huge expense on school budgets. All kids should be treated equal, the same amount of documentation that’s required for a US citizen to attend school, undocumented students. Open enrollment would be a great option to keep students with guardians and parents together. Yes, I would propose special consideration to support these children and schools district. First of all children must be with their parents or guardians in order to have normal life and growth. Also all children require continues supervision, support and guidance in order to get proper education. The Trump administration in its for-profit detention of people seeking asylum or refugee status violates our law and our long-standing treaties. Our law requires that we treat such claimants as guests until their claims can be adjudicated with due process in a court of law. Instead we have separated children from parents for no reason other than corporate profit. ICE contracts pay $775/night to keep children in cages. That $280,000 per year surely would be better used, and more than sufficient, to keep a child in school. PTA is the best tool to bridge the gap between families and school. The government has taken over our schools, taking power from parents. Your votes will be your voice in this election. I am a write-in candidate, on the ballot in November. Our children are not required to write cursive anymore. In November, you will see Bill Nelson, Rick Scott and a blank line with a bubble. Fill in the bubble, write Jones on the line and cast your vote, for a past PTA president, who raised 70k for my kids school. Our job is to assist our educators, in educating the most important people in the country, our kids. #America’s kids 1st. I am hoping that PTA would always keep me in the loop and keep me updated on any and all the issues related to school district. Elect more candidates who value you enough to reject the corporate donors that fund others elections. Together we will pass public funding of elections at a level such that the public funded Straight Arrow candidate rejecting all corporate money can prevail. We will end corporate welfare – allowing Fair Market Capitalism to flourish. getting back to the natural system where corporations get rich by competing for our money with their good and services.